A walking and cycling trail, the Via Dinarica, launched in 2015 and runs for 1,000km from Slovenia’s Dinaric Alps in the north to Macedonia, via Croatia, Bosnia and Herzegovina, Serbia, Montenegro and Albania. There are three options: the high mountain White Trail, the Green Trail, which is ideal for cyclists, and the easier Blue Trail, along the Dalmatian Coast. Local company Green Visions has tailor-made guided trips on the White Trail, and a Best of Via Dinarica group hike through Montenegro and Bosnia. The Iberian lynx once roamed over half of the Iberian peninsula. Today it’s the rarest cat in the world and only found in two locations: the vast, coastal Doñana national park south of Seville, and the rugged Andújar natural park in the north of Andalucia. There’s plenty of adventure to be had in both parks – from 4×4 safaris to guided hikes – but for a good chance to see the elusive lynx, The Travelling Naturalist has a seven-night, expert-led group trip to both parks, where visitors also learn about conservation, and might spot other wildlife such as mouflon wild sheep and Spanish imperial eagles. 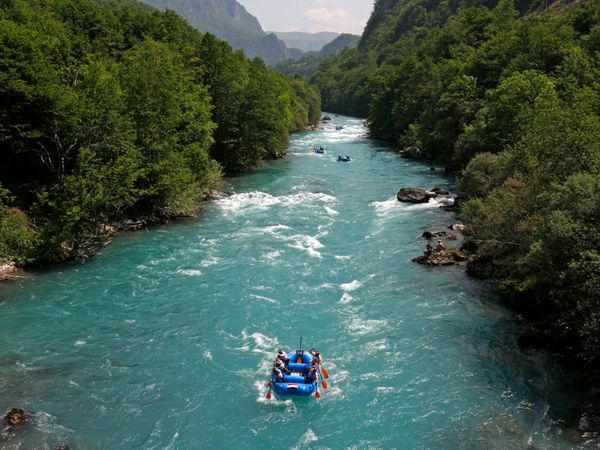 The Tara River runs through Montenegro for a length of 150km before meeting the Piva River. Tara Rafting is the ultimate adrenaline challenge, unusual adventure and unforgettable vacation for all true nature lovers! Ok, rafting is amazing, no question about it, but rafting on Tara river and its canyon is a true rafting treat for all rafting lovers around the world. Why is that? It’s simple! Tara river canyon in Montenegro is the second deepest canyon in the world, right behind America’s Grand Canyon and is located in the National Park of Durmitor, this formation helped to promote the park to be designated as an UNESCO world heritage site. With its mix of mountains, fjords, remote villages and quiet coastal roads, Norway is a strong contender for an adventurous self-drive. Go in summer when the days are long, pack a tent and wild camp along the way (it’s legal here, though there are great campsites and cabins, too). Among the most spectacular drives is from Bergen north to Trondheim which includes a stretch on the Atlantic Road, with eight bridges linking islands, and the chance to spot seals and whales. It’s about 430 miles, and winds through the longest road tunnel in the world and the zig-zag bends of Trollstigen.